Aerogarden Ultra...the first new Aerogarden in years, and a good one! That said, I'm officially dusting off this blog to report some exciting news from Aerogrow. After years of living with the same old Aerogarden models, they've just announced a new one called Aerogarden Ultra. This one looks really, really cool. It's got a digital display that tracks how long you need before feeding it (I admit, one of the biggest problems I had with my gardens was absent-mindedly forgetting to feed them). It also has a larger reservoir, better oxygen delivery to plants, a better trellis system, easier cleaning (another pet peeve of mine), and is the size of the Aerogarden Extra tall gardens. It's no secret that Aerogarden has been struggling financially, but I look at this as a great improvement. I've placed my order for one of these gardens and will let you know what my experience is. Here's the link to get yours! 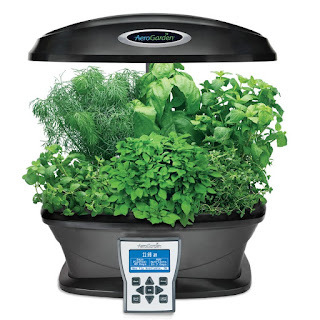 Aerogarden Ultra at AeroGarden.Com! 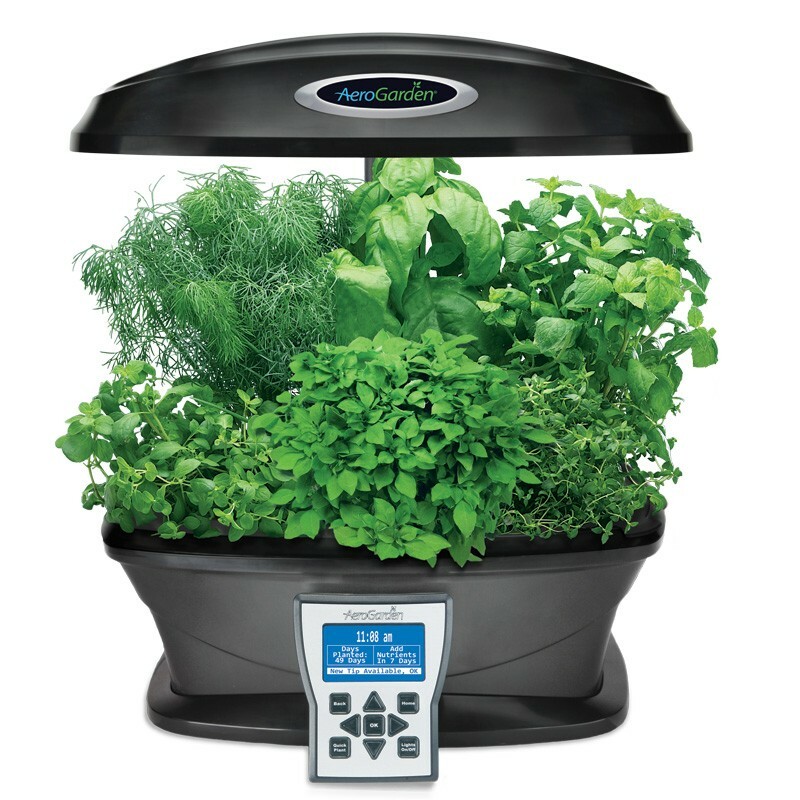 I placed an order for mine, and in 2013 will be reporting on whether this brand new high-tech Aerogarden is worth it, by going back to basics planting a classic set of herbs that I bought using the Make Your Own Herb Seed Kit feature on their Web site. It should be a good harvest this year! For those of you who are hanging on, stay tuned to some old school herb gardening! Wow...thanks for the discount code. It worked and saved me $50 off of my order. Can't wait for my wife to open this on Christmas. We joke that she is a plant killer but I think this product may absolve her for all prior transgressions - again, thanks so much for your helpful blog post! Oh where oh where is my Aerogarden Ultra?